(Disclaimer: I also wanted to write this article so the next time someone pulls one of these silly comments at me, I can snap this back as a lazy, but complete, retort). Related reading: Here's my review of that game in question. The first thing worth noting about this fellow is the fact that he's actually never interacted with me before. He's never tweeted at me. He doesn't follow me. I've never dropped him a note. I don't follow him. Apparently, this Good Samaritan saw my review, and then decided to jump on over to Twitter and provide me with a 140-character lecture with the strong implication that I'm somehow a lecherous pervert. 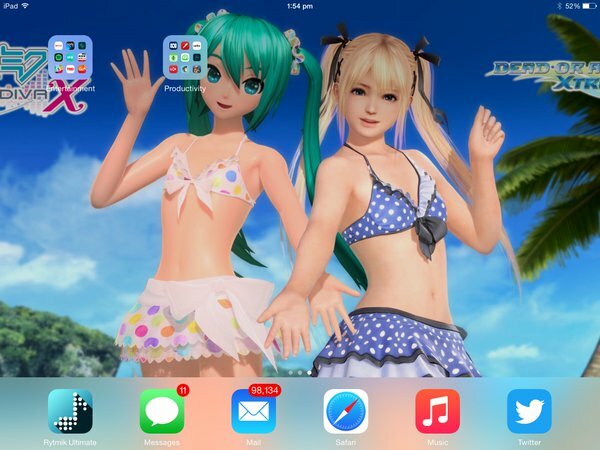 Because in a review of mine I've got a screenshot of the game which features girls in bikinis. 1) This is a game that I scored 0.5/5, or 1/10 if you want to convert. It's so far below a "pass" grade then it should be really quite obvious that I don't approve of the game. 2) I didn't actually draw the art, and my job as a critic is to highlight features of interest within a game. I'm doing my job and people a favour by highlighting this content. It might make them realise that they don't actually want to buy the game because they don't like the content in it. That is explicitly my job. 3) Bikinis aren't inherently sexual. I'm not going to go on talking about this guy, because that's one tweet, and one example of many, and it's not really the point. Instead, I'm using it to segue into an issue that is a constant conversation that you see out there in the games industry; the argument that people who like games that feature bikinis are perverts. The problem with that argument is that it assumes that bikinis are an inherently sexualised piece of clothing. The simple fact is that they're not. In fact, if you think they are, then you're a very dangerous person and should never be allowed near a beach or pool. Certainly not one where there are children running around. Bikinis can be a lot of things. They can be - and in fact, typically are - functional pieces of clothing. Historically, and ironically, given how people respond to them today, bikinis are also symbols of female empowerment and liberation. People seem to forget this, but once upon a time wearing a bikini was a powerful feminist rebellion against conservative social structures that imposed strict limits on what women were allowed to wear. Bikinis can be sexualised. Of course they can. And they are - games like Dead or Alive and Senran Kagura certainly sexualise the bikini. But in other examples, such as the aforementioned Parascientific Escape, or the Hatsune Miku bikini costumes, the swimwear is not sexualised at all. Virtually any piece of clothing that a woman could wear could be sexualised if it was presented in a certain way. Miniskirts. A business suit or uniform. A nurse's clothing. A full-length dress. A school uniform. Gym gear. All of these examples of female fashion can - and are - fetishised, but by default none of them are sexualised pieces of clothing. I rarely see any acknowledgement of this. For the most part the moment a game has a swimsuit, regardless of context, people start pulling out the "P"-word. But I refuse to feel guilty about it, or allow people to throw horrible, inaccurate pejoratives at me based on my taste in games. My iPad wallpaper is the best. And hell, if people are allowed to enjoy games that take a fetishistic love of guns and other weaponry, I'm allowed to enjoy even the sexualised stuff, like Dead or Alive Xtreme 3, and play dress up in putting my favourite characters in my favourite swimsuits. Enjoying this no more makes me a pervert than enjoying a gun game makes a person a future mass murderer. So, yes. I enjoy Dead or Alive Xtreme 3. 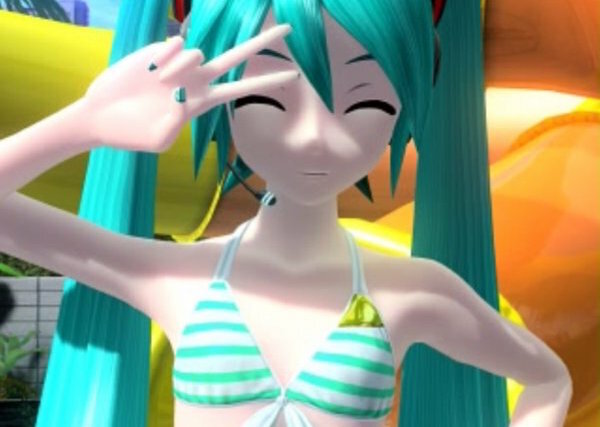 I bought the Hatsune Miku DLC bikini the moment it became available in Project Diva F 2nd. I don't feel even slightly guilty about any of that. * (Disclaimer: I actually really like Mark and have enormous respect for his work, so the sarcasm in this piece is a friendly roasting rather than criticism. I need to have these disclaimers because this is the Internet).